Following a major revision inside and out that occurred for nearly all trim levels of the Hyundai Sonata for the 2011 model year, only minor exterior upgrades and package combinations are expected for 2013, which is expected to roll into dealer showrooms sometime between late summer and early winter 2012. As with the 2012 model year, the 2013 Hyundai Sonata will be available in seven front-wheel-drive trim levels: GLS, GLS PZEV (partial zero emissions vehicle), SE, Limited, Limited PZEV, 2.0T and 2.0T Limited. While powertrain changes are expected to be made to Sonata models overseas, those changes were made to U.S. models when the last major upgrade occurred in the 2011 model. As a result, GLS, SE and Limited trims are expected to come equipped with a gasoline direct-injected 2.4-liter 16-valve DOHC 4-cylinder engine with dual continuously variable valve timing (CVVT) and paired with a 6-speed manual transmission or an available 6-speed automatic transmission with Shiftronic, which is standard equipment for all remaining trims. The 2.0T trims will come equipped with a 2.0-liter turbocharged 16-valve DOHC 4-cylinder engine with CVVT. With the manual transmission, the standard GLS and Limited trims will achieve 198 hp and 184 lb-ft of torque, while the PZEV will reach 190 hp and 179 lb-ft of torque. The SE is expected to make 200 hp and 186 lb-ft of torque, while the turbocharged engine trims are rated to make 274 hp and 269 lb-ft of torque. A revised front fascia, side mirrors and LED taillights, along with new wheel designs, are also on the horizon for the 2013 Hyundai Sonata. Otherwise, all interior and exterior choices from the 2012 model are expected to carry over to 2013. The 2013 Hyundai Sonata is expected to remain competitive against the Honda Accord, Nissan Altima and Toyota Camry, all of which are also not expected to receive any significant changes for the 2013 model year. As a result, the Sonata, with the refresh that the model received in 2011, arguably has the most curb appeal for the money in the affordable midsize sedan market when compared to its aging competition. What's your take on the 2013 Hyundai Sonata? 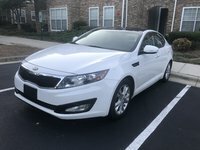 jaystatum When going to Ron Carter Hyundai I was looking to trade in my Toyota Camry. Eric took me to a 2013 Hyundai Sonata and I feel in love with everything from its smooth drive to its one of a kind color. Johnny Gomez helped me figure out my monthly payments. I am greatful to have had them as my sales associates. They made the experience fast and easy! Thanks Ron Carter Hyundai and Eric and Johnny Gomez for getting me into my Hyundai Sonata!!!! 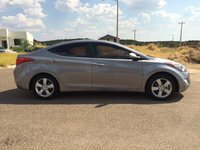 Mark I have a 2013 Hyundai Sonata limited that I love no problems just oil changes and tire rotations. David Reliable but uncomfortable for drives longer than a short commute. The driver seat is horribly position for lumbar support. Users ranked 2013 Hyundai Sonata against other cars which they drove/owned. Each ranking was based on 9 categories. Here is the summary of top rankings. Have you driven a 2013 Hyundai Sonata? What Type Of Oil Should Be Used With The 2013 Hyundai Sonata? radio turns on but no sound. Cant locate amplifier where it should be. 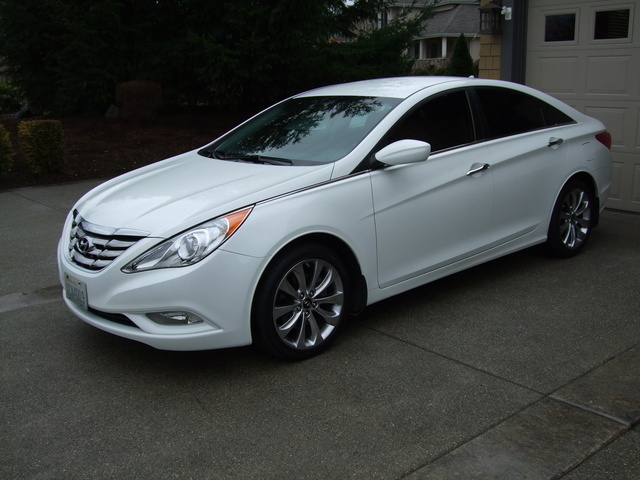 How many different locations does hyundae use to position amplifiers on their 2013 sonatas.